P (pneumatic) and H (hydraulic) ranges actuators are designed to provide a rotary, quarter-turn movement for either on/off or modulating duty. The robust design incorporates double sealing for superior environmental protection and features a one-piece ductile iron cast centrebody. Superior design features enable a much longer service life than competitive products. 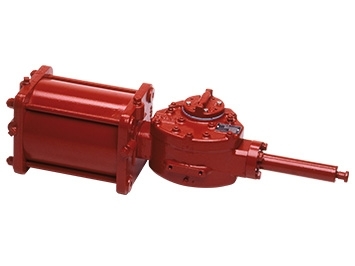 P and H range actuators are capable of a least 200,000 cycles under full load. See P/H literature page for further details.